German supplies were less than 5K away, French more than 20. 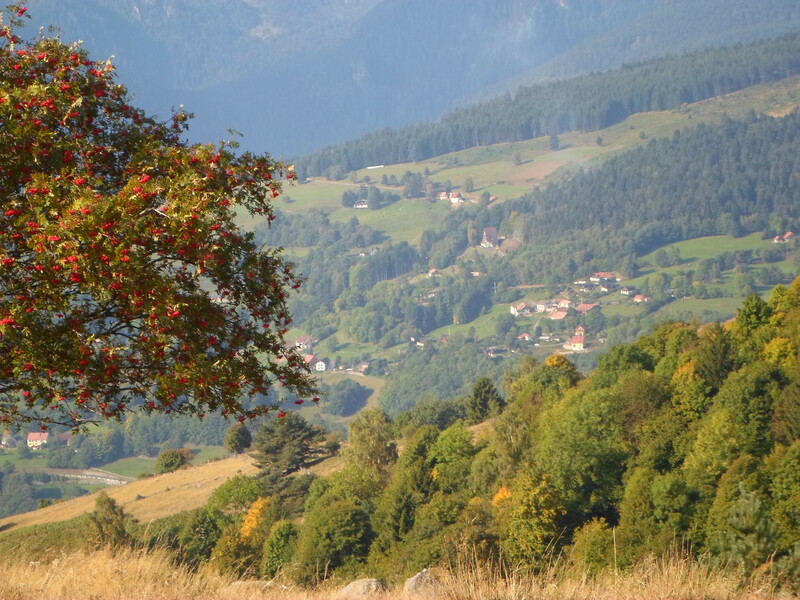 Le Linge ridge was the scene of some of the fiercest fighting in Alsace, which the French were determined to take back at all costs, while the Germans were fighting for ground that had been their homeland since the 1870s. 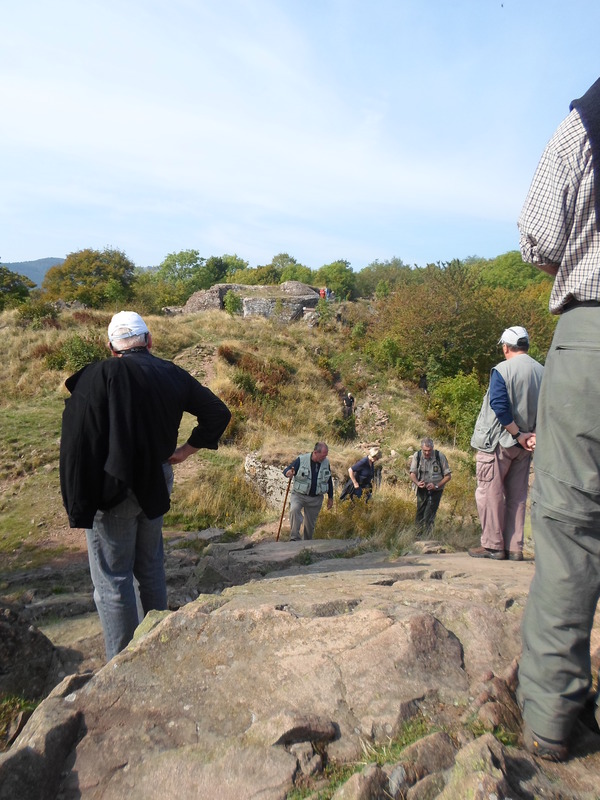 Looking at the French lines from Le Linge ridge. 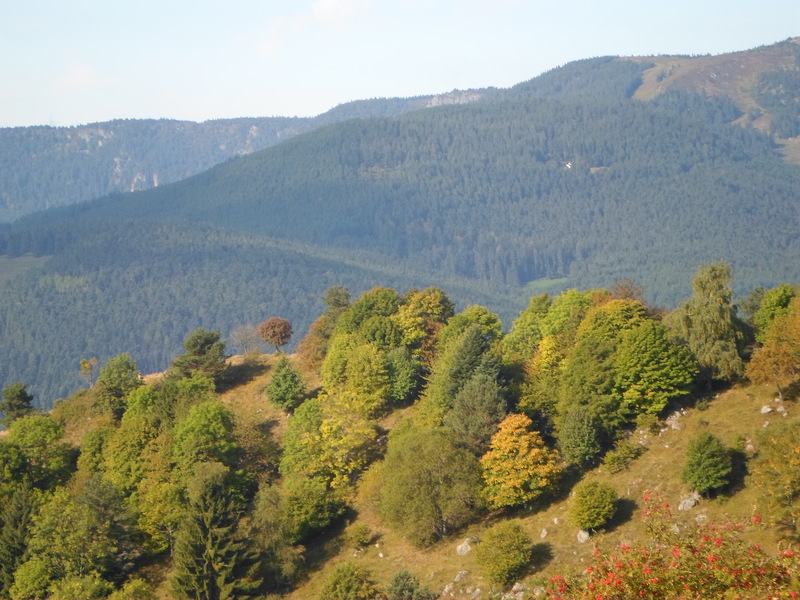 If the French had fallen back to that ridge in the distance, they could have held this part of Alsace, but the government decreed that every inch of France was sacred, so they had to continue their attack up the slopes. 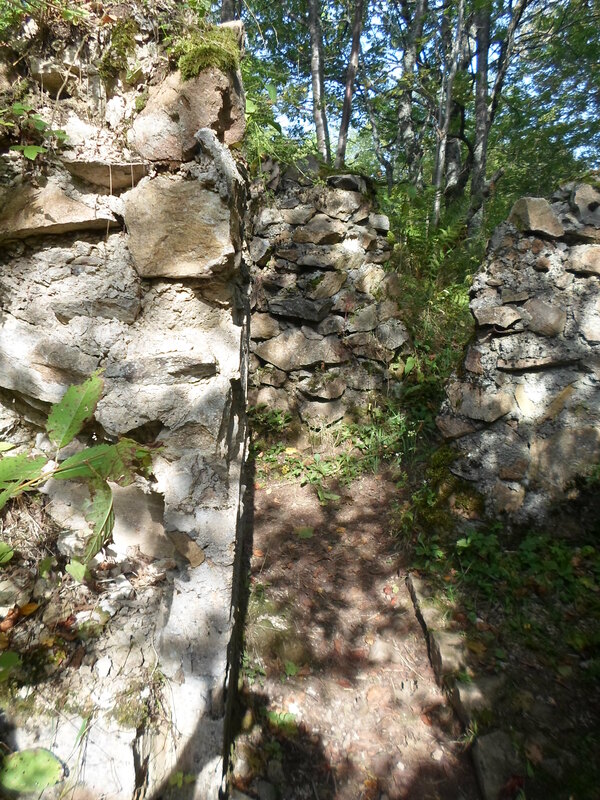 German fortifications on the Le Linge battlefield. 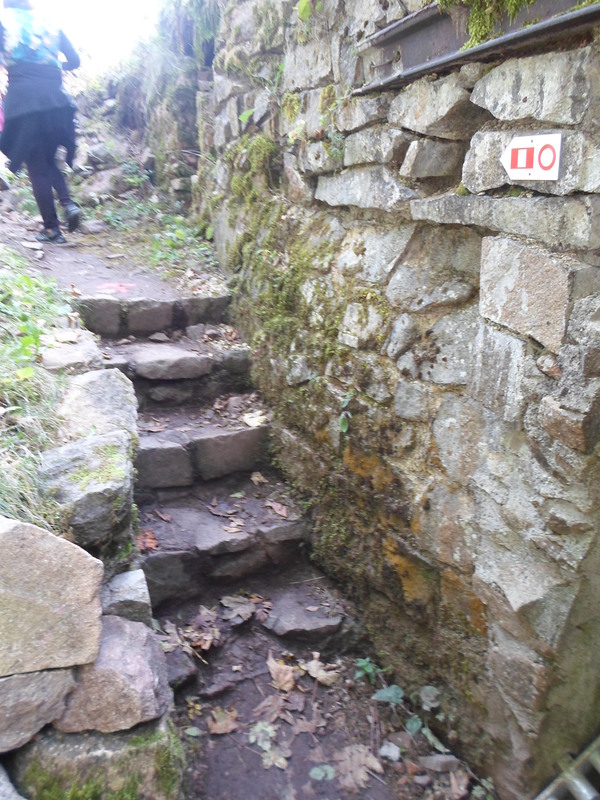 Steps for clambering out of the trench to attack the French. Map of the battlefield at the memorial. 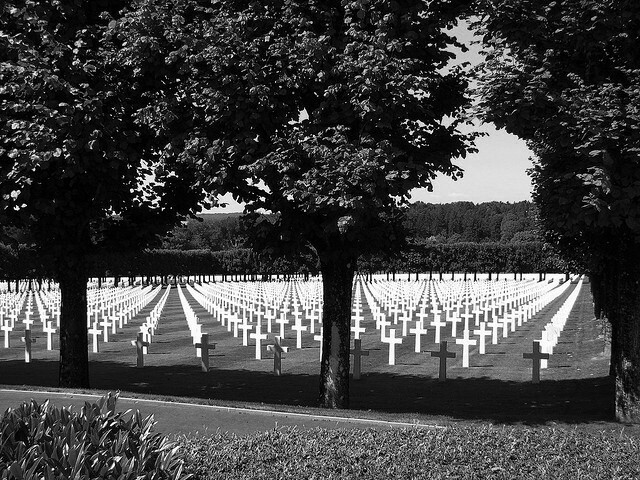 A reminder, mostly for schoolkids, that this ground still holds the remains of many soldiers and must be treated as a cemetery. 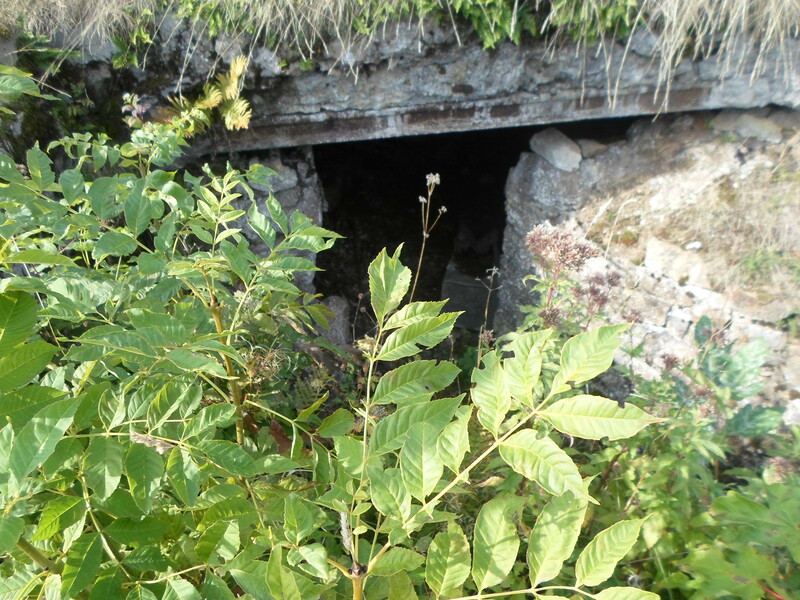 The remains of an unknown German soldier, killed in 1915, were found here in 2010. The ground is uneven because of shell holes. 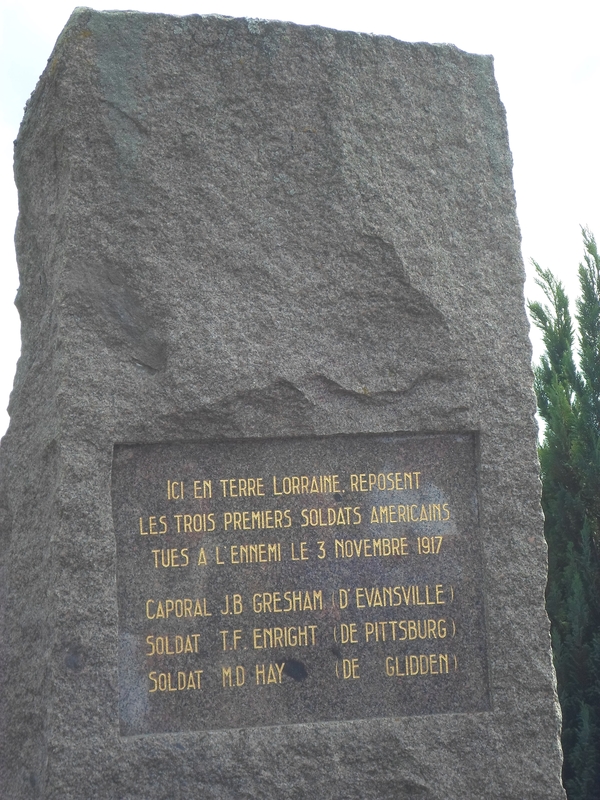 This soldier’s remains, found here along the French lines, were identified. 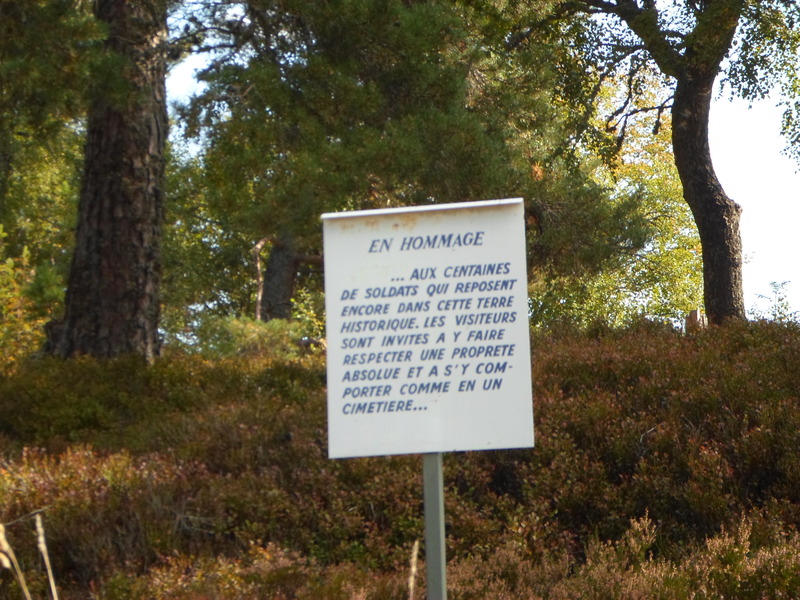 He was buried in a French cemetery. 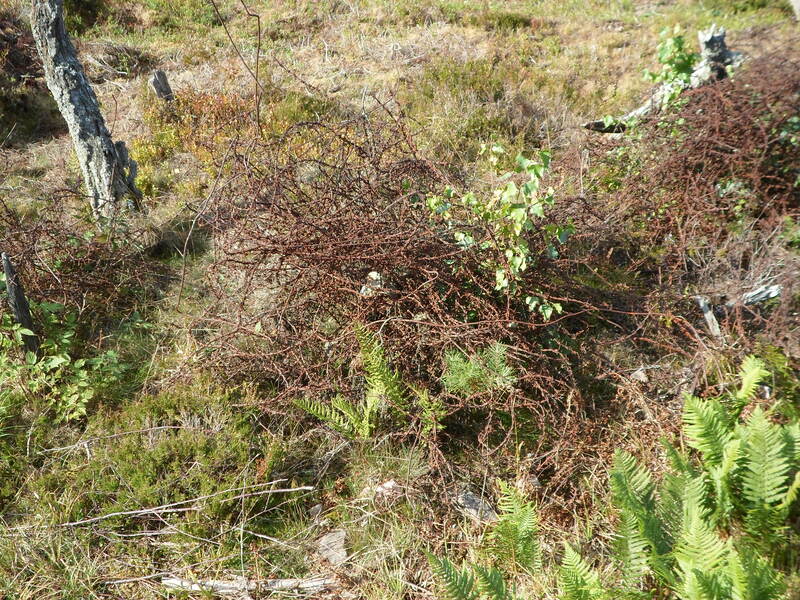 French barbed wire to defend against the Germans. 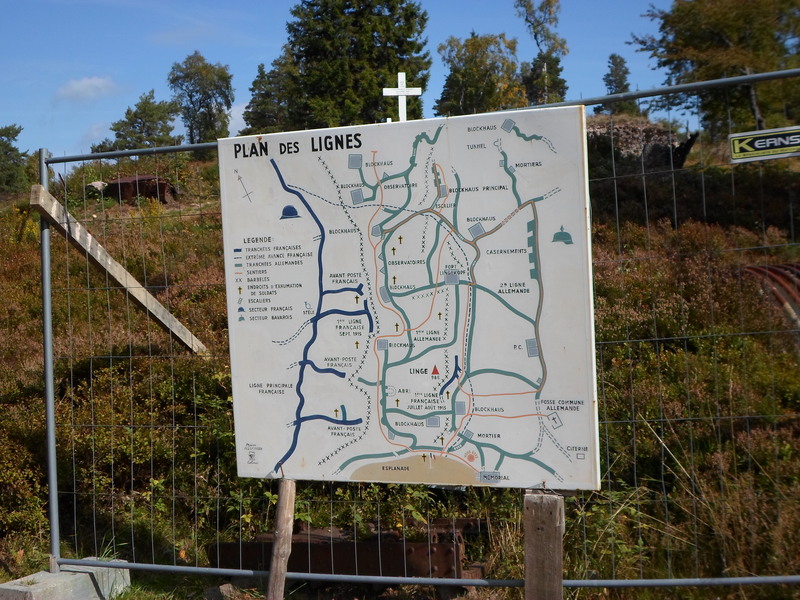 The French had to attack the Le Linge ridge up a hill that was nearly vertical and blocked by their own, as well as German, wire like this. 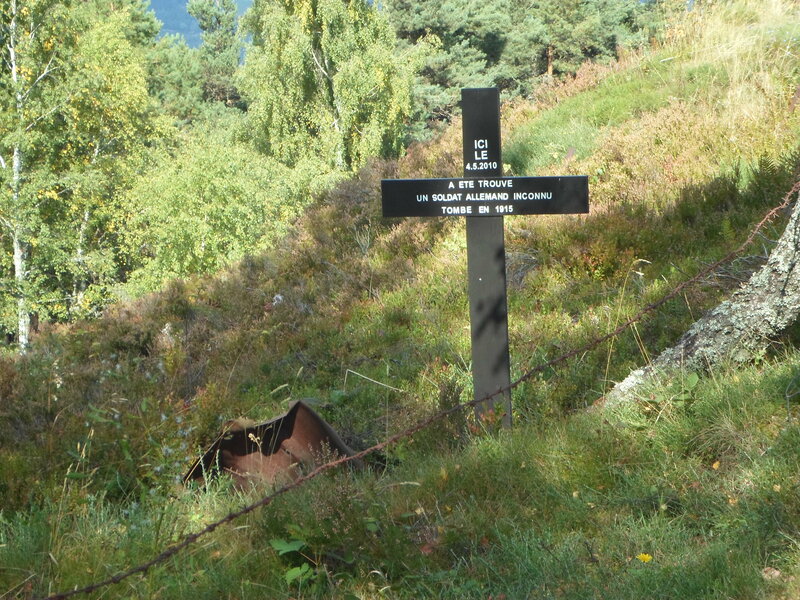 German cemetery at Hohrod, down from Le Linge ridge. 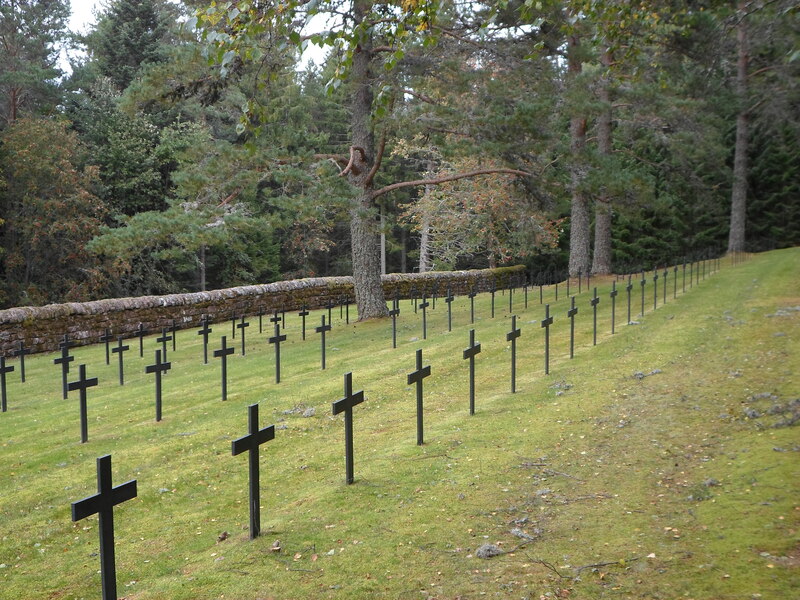 Jewish soldiers’ graves are marked with tombstones, not crosses. 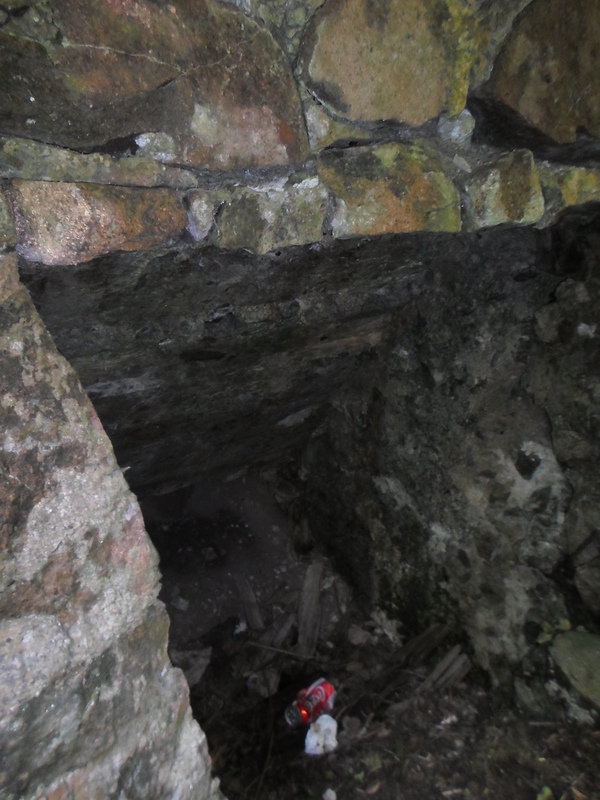 They are often found with stones on their top edges, signifying that someone has come to visit the graves. 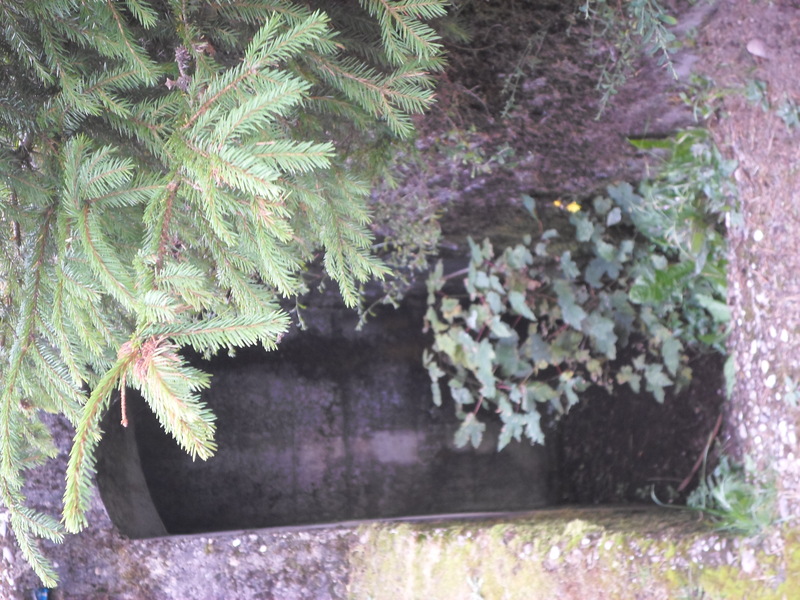 The entrance to the cemetery was once a bunker that served as an observation post. Last view of Le Linge. All is peaceful. Ninety-nine years ago, these farms and villages were nothing but smoking rubble. The first three Americans fighting for the U.S. who were killed in combat died in a German trench raid Nov. 3, 1917. Corporal James Gresham and Privates Thomas Enright and Merle D. Hay were members of the 1st Division, assigned to a quiet sector in Lorraine, east of Nancy, alongside the French, who were to train them in trench warfare. 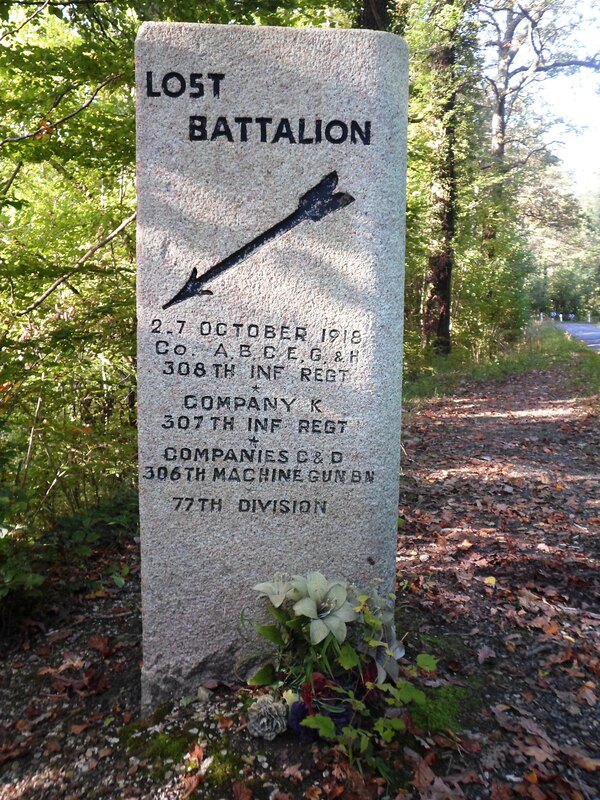 A patrol of Germans crossed No Man’s Land to get a look at the Americans everyone had heard so much about, and in resulting hand-to-hand fighting, 12 men were taken prisoner and Gresham, Enright and Hay killed. 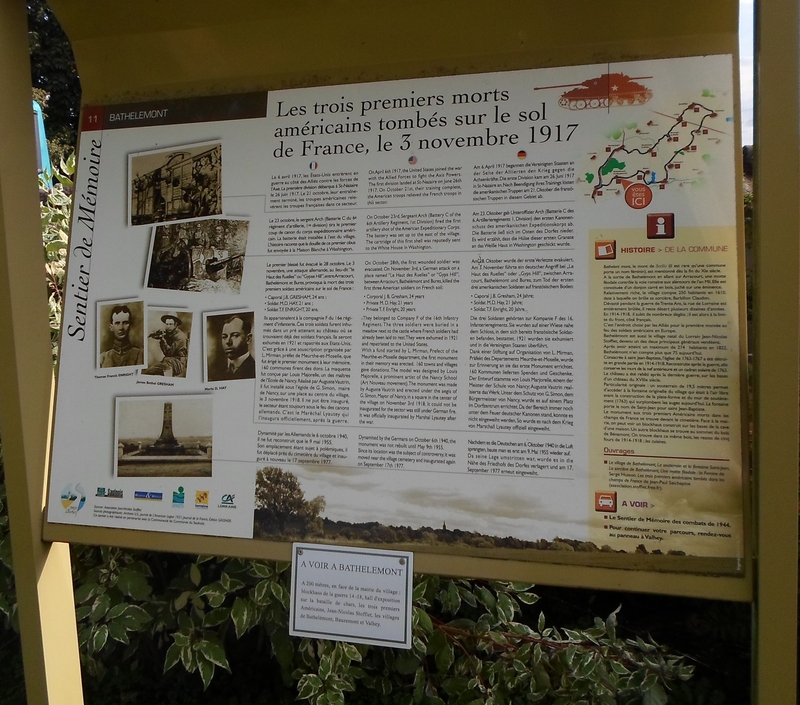 The French buried them on the battlefield, though their remains were returned home in 1921. 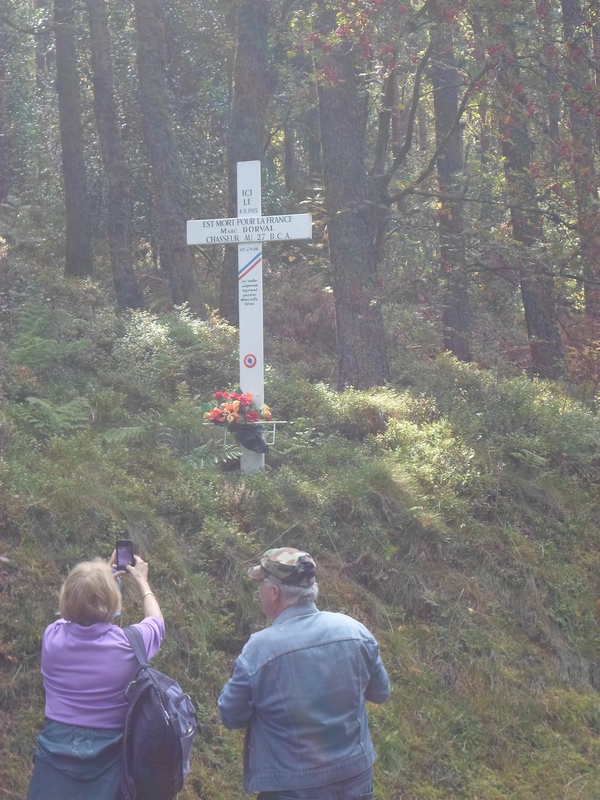 The large cross erected Nov. 3, 1918, to honor them was destroyed by the Germans in 1940 and, after WWII, replaced with a solid slab. A poster nearby describes the three young men and the early actions of the U.S. in the war. 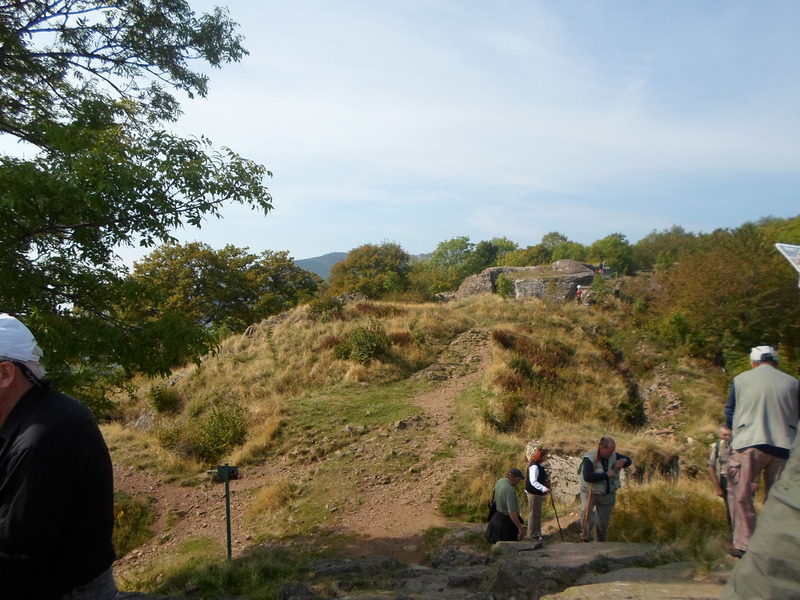 The 2013 WWI Battlefields Tour reached Liege, Belgium, last night, and today we toured the one fort — of the 12 the Germans encountered in August 1914 — that has been preserved, the Fortress of Loncin. 3) Albert, King of the Belgians, said: We are a neutral country, but we will defend ourselves against any invader and we will never surrender. The Germans were so unimpressed by his defiance that although they had only a narrow corridor through which to attack, they gave themselves until Aug. 10 to conquer Brussels. “Chocolate soldiers,” that’s what they called the Belgians. Instead, they finally took Brussels in October, and by then the Schlieffen plan had crumbled. Liege was one of the cities in their way. It was attacked on Aug. 6 and taken by the Germans while several of its forts continued to hold out. 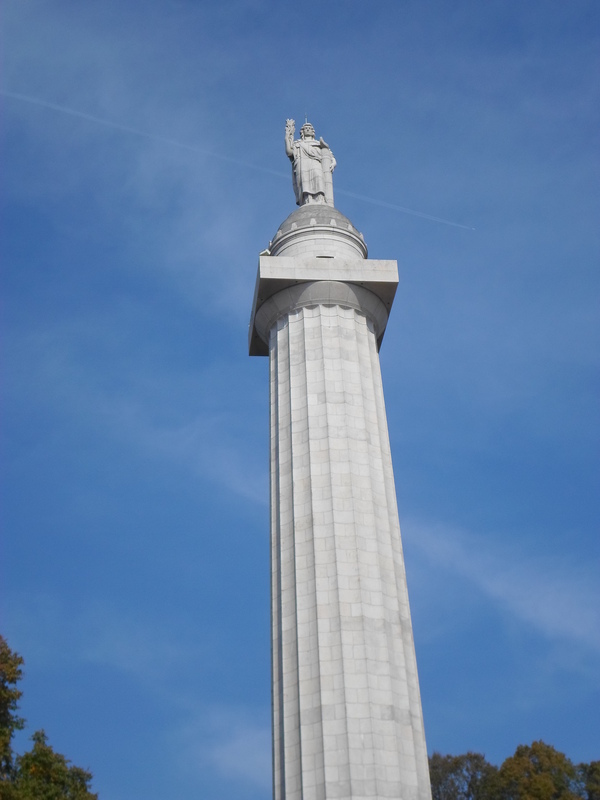 Loncin was under continuous bombardment for three days while its garrison of 550 troops went on fighting. 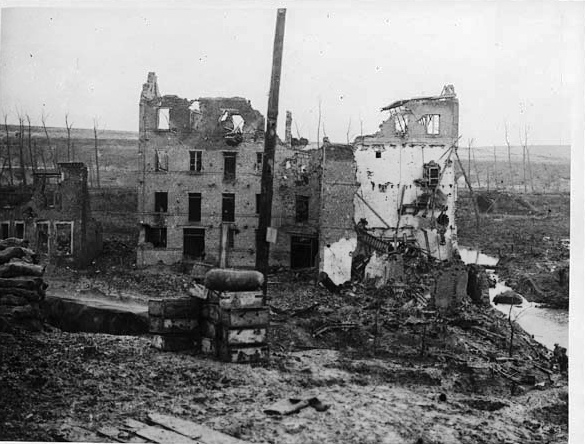 Finally, at 5:20 p.m. on Aug. 15, the Germans hit the fort with 25 shells from Big Bertha. One of them hit the powder room and most of the fort exploded, killing more than 80 percent of the garrison. 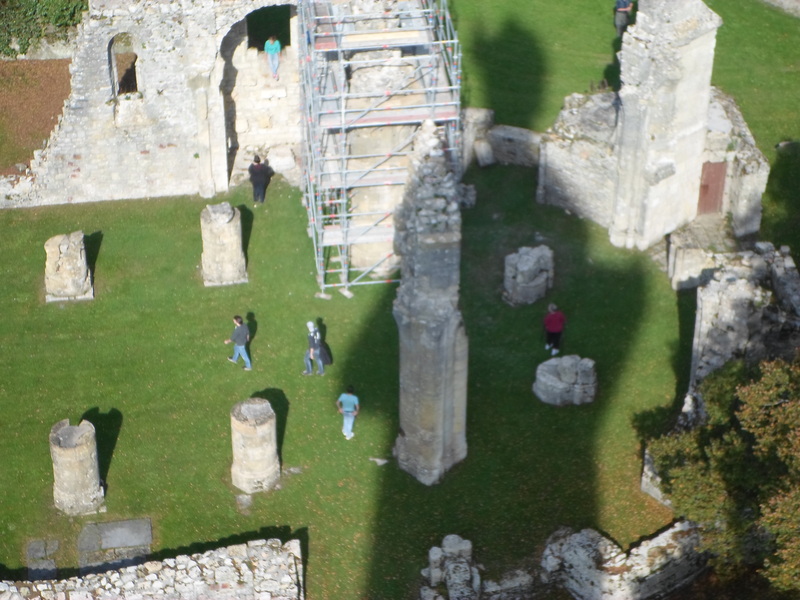 Most of them still lay under the ruins, and the site is considered a grave. 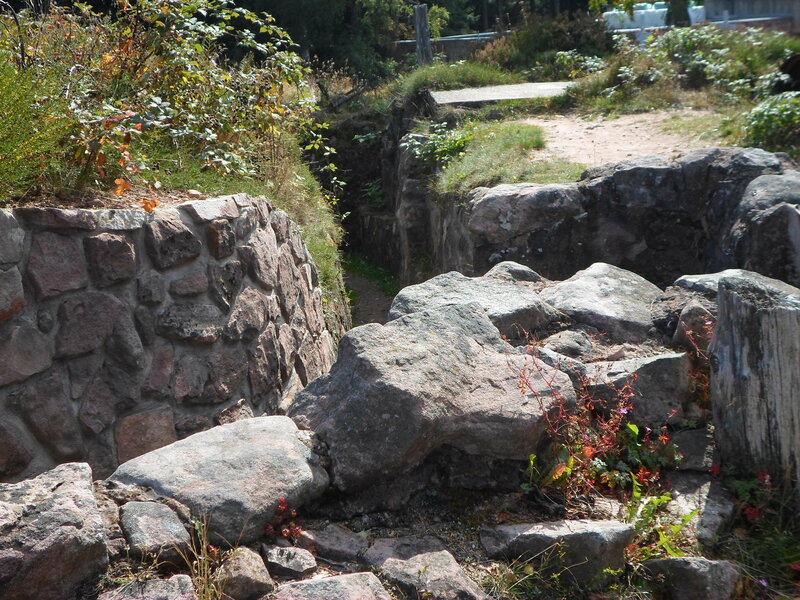 The Germans kept the fort until the end of the war, walling off the interior where the worst damage occurred. 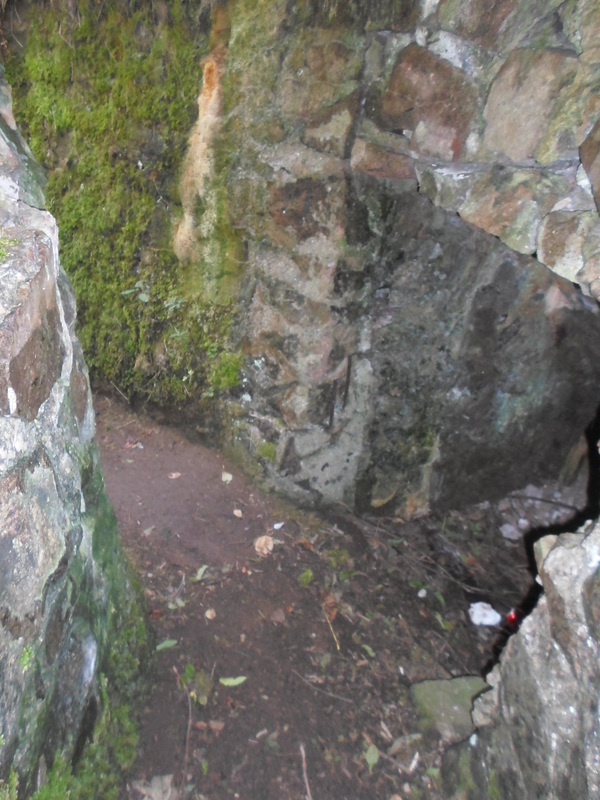 The fort, in ruins, has been well-preserved, and you can walk around inside much of it. Then you come out on top, and you can see the horrific devastation. The Belgians are very proud of Loncin. It never did surrender; its commanding officer was pulled out of the wreckage and taken prisoner while he was unconscious. Most people think of Big Bertha as the Paris gun, the massive artillery piece that shelled Paris from 70 miles away and could only be moved by railway. In fact, Big Bertha was a mortar that fired 42-cm. shells. Loncin was the first time it had been used in combat. I took lots of photos. 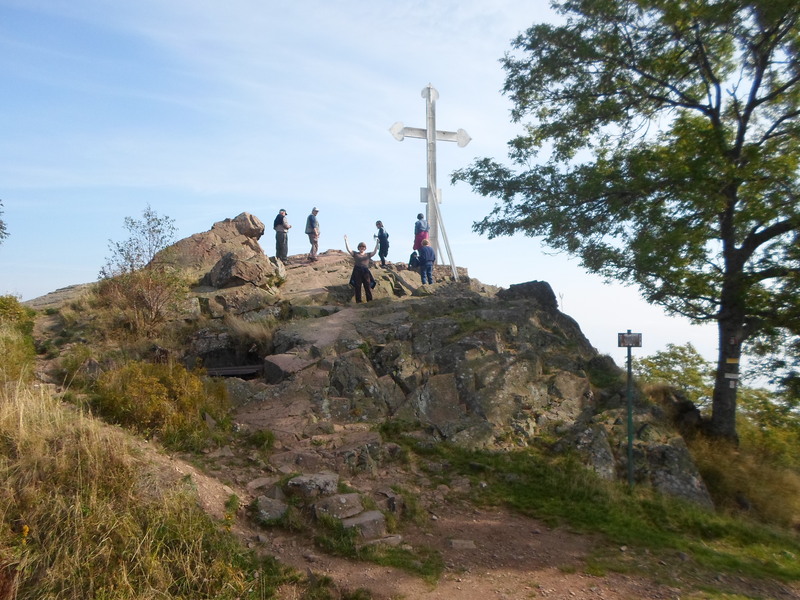 Tomorrow we’re traveling to the Vosges Mountains and the southernmost end of the Western Front. I’ll post some Liege photos tomorrow night. Pieces of paper rustled about like footsteps, dirt covered the ruins, fragments of rusty shells lay as unsightly and dirty as that which they had destroyed. Cleaned up and polished, and priced at half a crown apiece, these fragments may look romantic some day in a London shop, but to-day in Albert they look unclean and untidy, like a cheap knife sticking up from a murdered woman’s ribs, whose dress is long out of fashion. Kerry Dwyer is a Brit living in France with her family. 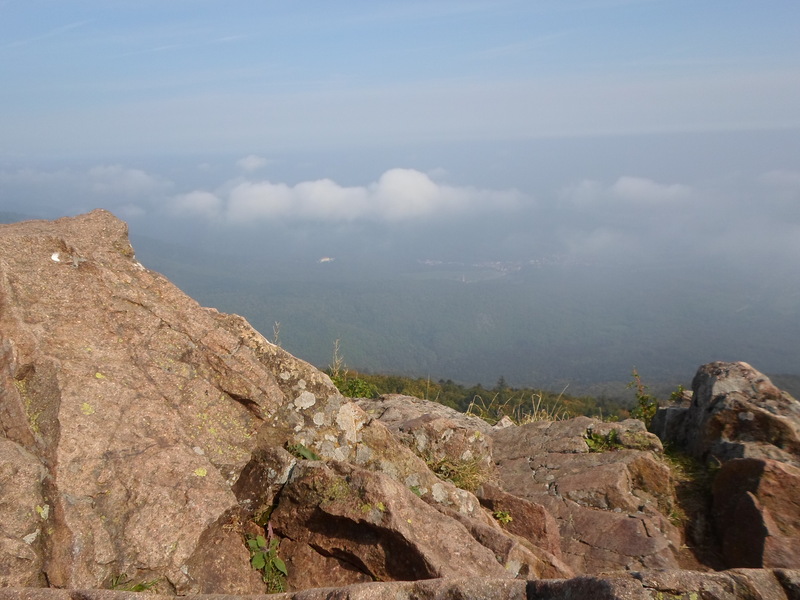 One of the things she blogs about is her walking tours — she calls them ramblings, I would call them hikes. 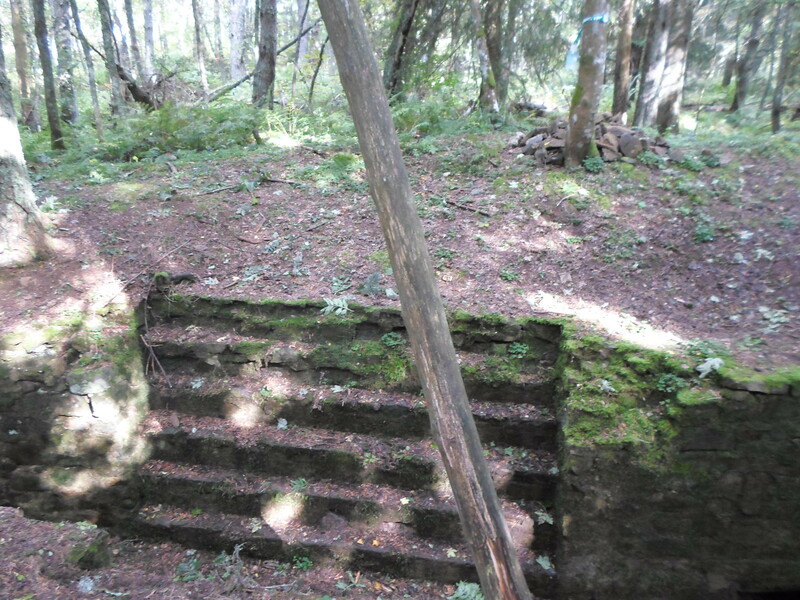 On an innocent vacation to the Alps, she came upon the remains of the Austrian Fort Luserna, which played a grim role in World War I.
Here’s an account of the fighting in this part of the Front, with many interesting photos of the Austrians’ secret weapon.